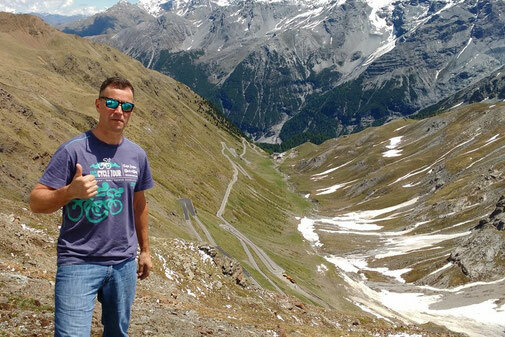 One of our most popular European cycling holidays, the Bicycle Beyond Bormio 3 Mountain Pass Tour takes on not one, but three iconic mountain passes, namely the Passo di Gavia, the Passo di Mortirolo and the Passo di Stelvio. As all these mountain passes have all featured in the Giro D’Italia, and they are not for the faint hearted, but we love a challenge, and you’re invited to join us! This fantastic tour includes 4-night’s accommodation in Bormio on a half-board basis, afternoon snacks, complimentary use of the hotel wellness centre, discounted entry for the Old and New Roman Baths, cycling clothes laundry service, and 3 fully escorted tours to the top of each pass.